My conversation with Andy Molinsky. I host a weekly radio show on SiriusXM 111, Business Radio Powered by Wharton, called Work and Life. We publish edited versions of my conversations as free podcasts. 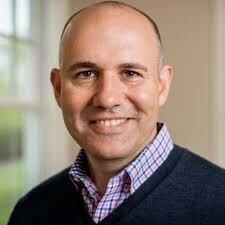 I invite you to listen to the episode (embedded below) that is my conversation with Andy Molinsky is a professor at Brandeis University’s International Business School where he helps people develop the insights and courage necessary to act outside their personal and cultural comfort zones. He holds a Ph.D in Organizational Behavior and M.A. in Psychology from Harvard University, and M.A. in International Affairs from Columbia University. His latest book is Reach: A New Strategy to Help You Step Outside Your Comfort Zone, Rise to the Challenge and Build Confidence. In this conversation, Andy describes the five common psychological obstacles we face when trying to create change and offers advice on how to overcome them to reach important goals at work and in other parts of life. We talk about how to reach beyond these obstacles through conviction in your beliefs, customization to your specific situation, and clarification of what is realistic. Bonus content: This episode includes a call from a couple of Stew’s radio show listeners — Tara and her mom, as they were driving back to New York from Washington, D. C. — who describe how Tara reached beyond her comfort zone to find the courage to lobby Congress on behalf of The Epilepsy Foundation.